One the most important concerns of police violence, and one that several fail to even recognize, is how much we do not know about the police use of lethal force. There is no national or centralized database for use of force statistics in Canada. A further problem is the fact that agencies do not normally release official statistics on use of force, and the way in which use of force data are collected varies greatly between jurisdictions. Although lethal force by police is much less common in Canada as compared to the U.S., we are not immune to police violence. The recent deaths of Alton Sterling and Philando Castile has once again raised the issue of police violence against members of the public. Sterling and Castile, both black men, were fatally shot by police in the U.S. and are now being used as rallying cries by the Black Lives Matter (BLM) social movement to illustrate the systemic violence police officers inflict against black individuals at an alarmingly high rate. It has been two years since the high-profile deaths of two African-American men, Michael Brown in Ferguson, Missouri and Eric Garner in New York City, at the hands of the police. The deaths of Brown and Garner resulted in protests and unrest, and it gave the BLM movement national and international recognition. Despite this massive movement and the continuous calls for police reform, police violence continues to happen. One the most important concerns of police violence, and one that several fail to even recognize, is how much we do not know about the police use of lethal force. For example, the Director for the Federal Bureau of Investigation (FBI) asked his staff to tell him how many African-Americans were shot and/or killed by police in the U.S. and to his surprise, they could not provide an answer. The reason? There is no national or centralized database on police shootings or other types of force. Although lethal force by police is much less common in Canada as compared to the U.S., we are not immune to police violence. The system used in the U.S. to track deadly force is the FBI's Uniform Crime Reporting Program that has collected statistics on lethal violence since the 1930s. However, the 18,000 law enforcement agencies are not mandated by this program and participation is voluntary. There are other systems used for tracking police shootings but these are also inconsistent in collecting data. Similarly, there is no national or centralized database for use of force statistics in Canada. A further problem is the fact that agencies do not normally release official statistics on use of force, and the way in which use of force data are collected varies greatly between jurisdictions. Although lethal force by police is much less common in Canada as compared to the U.S., we are not immune to police violence. The best data on the use of deadly force by police are generated by the media. For example, the Guardian initiated a project called "The Counted" in 2014 that tracks the number of people killed by police in the U.S. They rely on local media reports of police use of deadly force and operate a database that includes basic information about each incident. Relying on the media for accurate data is an issue because data are not verified, audited or confirmed. Despite this, the Guardian's database may provide the most information we have on police shootings. A national database on police deadly force will not only inform the public and the police of how often it occurs, but it will also allow for agencies to identify problems and concerns at the local and national level, and address them in the most effective way towards reducing lethal force. For this to work, agencies must collect and report: 1) all incidents police officers discharge firearms at civilians; 2) the agency employing the officer(s); 3) the location of each incident (i.e., neighbourhood, highway, cross-streets); 4) the demographic characteristics of the officers and civilians involved in each incident; 5) any injuries suffered by officers and civilians; 6) the weapon(s) used by police and civilians; and 7) the nature of the incident (e.g., vehicle pursuit, domestic call, etc.). All agencies must regularly report this information to a centralized data collection body (e.g., National Institute of Justice). 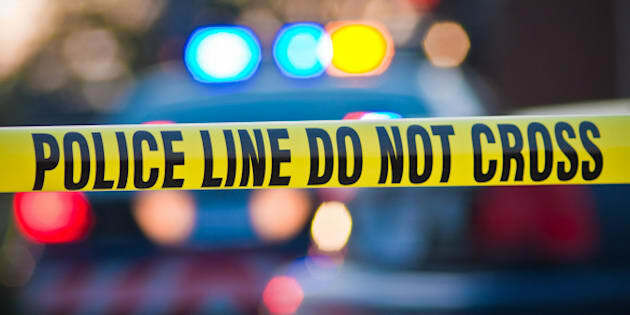 This information gives the police valuable insight into specific circumstances of when deadly force is used which can better assist agencies in changing protocols and policies around how they approach deadly force situations (whether it be through improved training, alternative policing methods or better relations with marginalized communities). Good data will necessitate positive change. Hundreds of civilians have been killed by the police since the BLM movement mobilized after Ferguson. Protesting for more accountability of the police is important. The first step in ensuring meaningful police reform and reducing the use of lethal force by police is by mandating a national database on police shootings where all agencies must consistently and comprehensively report all cases of deadly force. This will force agencies to make changes. Until this materializes, we can only expect more of the same.